These homemade caramels are soft and buttery. They're rich and creamy. They are pure delight wrapped up in a chewy morsel. 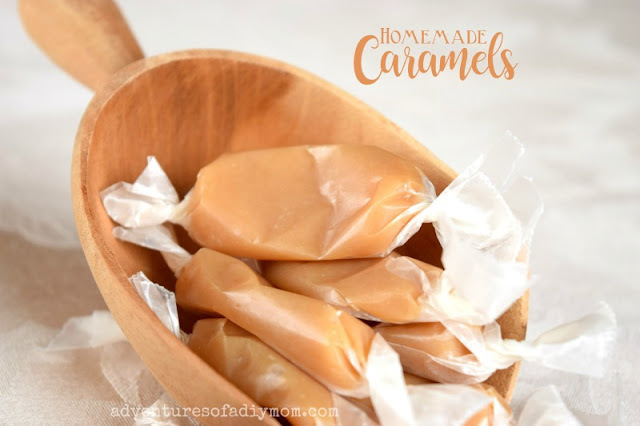 Making caramels at home is fairly easy and with this recipe you'll have plenty to satisfy your sweet tooth AND to share with family and friends. Make some this Christmas season, you won't regret it! 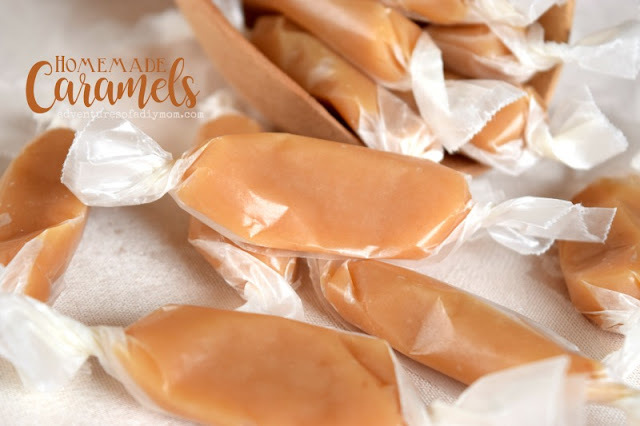 This caramel recipe is the same one that I use for caramel apples. I got the recipe from a friend who is known for them. When I first tried caramel apples, I had a bit left over and poured it into a pan. 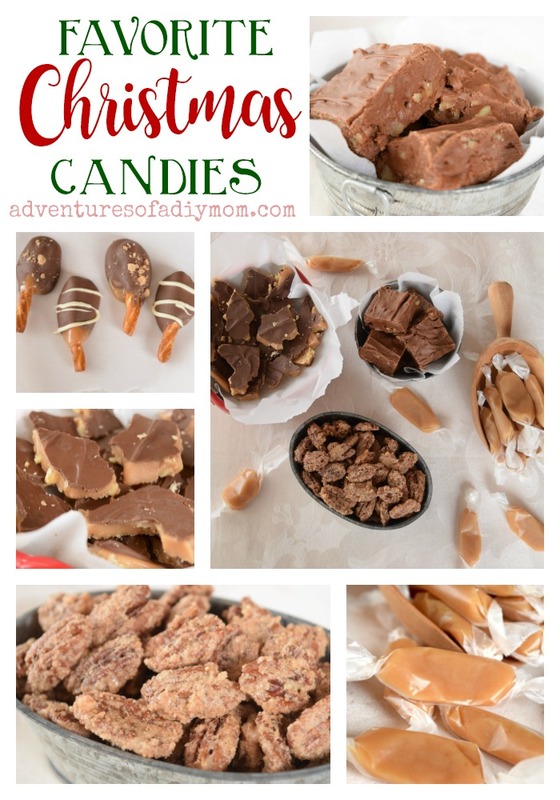 I've used this recipe to make Christmas caramels ever since. You will love these soft and buttery caramels. I know a lot of people are a bit timid about using a candy thermometer. Some like to use the cold water test. If you don't have one, that is a great option. If you read my English Toffee Tips you will know that I am firmly in the candy thermometer camp. I love knowing that my candy has been cooked to exactly the right temperature. It's important to note that it is necessary to calibrate your thermometer from time to time. Tip #2 - Use a quality thick bottomed pan. A thick quality pan helps to prevent scorching. It also helps distribute the heat evenly. Stirring constantly helps to prevent scorching. Keeping the mixture moving helps the caramel to cook evenly. Grease a 9 X 13 pan and set aside. Combine ingredients in a heavy pot. 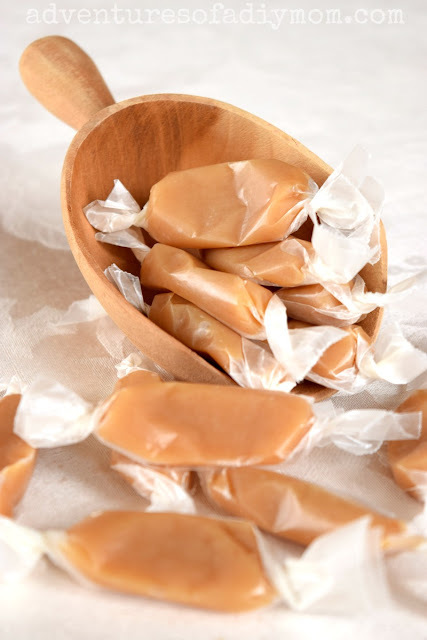 Heat over medium heat until candy reaches 225° for softer caramels or 230° for firmer caramels. Immediately pour caramel into prepared pan. Let cool, then cut up and wrap in wax paper. Making this as I type! Can't wait to try them!